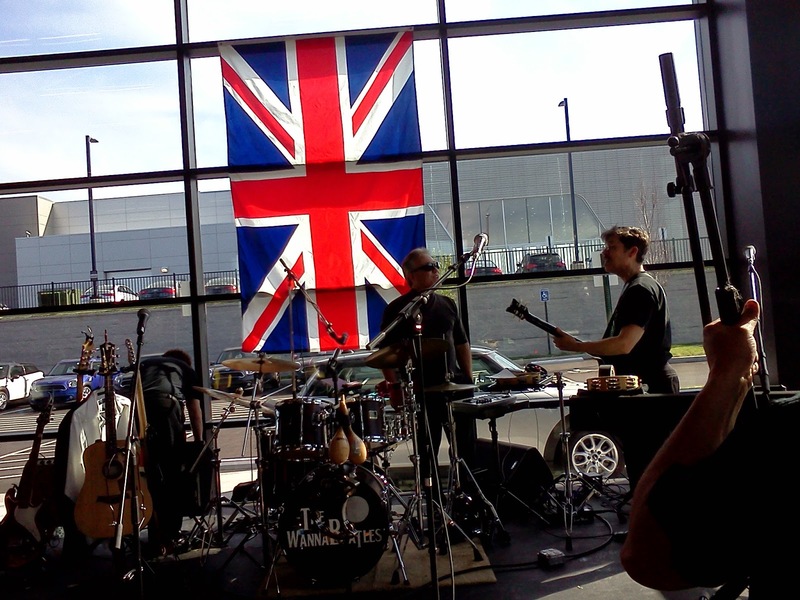 The WannaBeatles played a special event April 17 at MINI of Nashville, a car with a distinctive British identity. Here we are setting up onstage, with a large Union Jack behind us. Plenty of MINIs in the parking lot. We discovered that Cool Springs is growing. The MINI dealership is located on the section of Mallory Lane that extends north of Moore's Lane, next door to dealerships from Audi and Porsche. The road is not yet completely paved, and a traffic rotary is being built. We learned there are plans to build a Maserati dealership nearby, so it is definitely becoming a luxury district. The MINI is a fun car - a mixture of sporty performance, hip design, and upscale status that sets it apart from the pure luxury cars. They were having a big party to celebrate their new model, called "Bloody Original." Corporate executives from Atlanta and New Jersey were attending. Tee shirts were printed up for the occasion, and gift bags handed out, emblazoned with British flag emblems. The gift bags also included free CDs from The WannaBeatles, so we were part of their marketing efforts. After setting up on the stage in front of a large British flag, we went upstairs to a conference room to change clothes. While there, we rehearsed and recorded a brief promotional video for a gig we're doing later this summer. 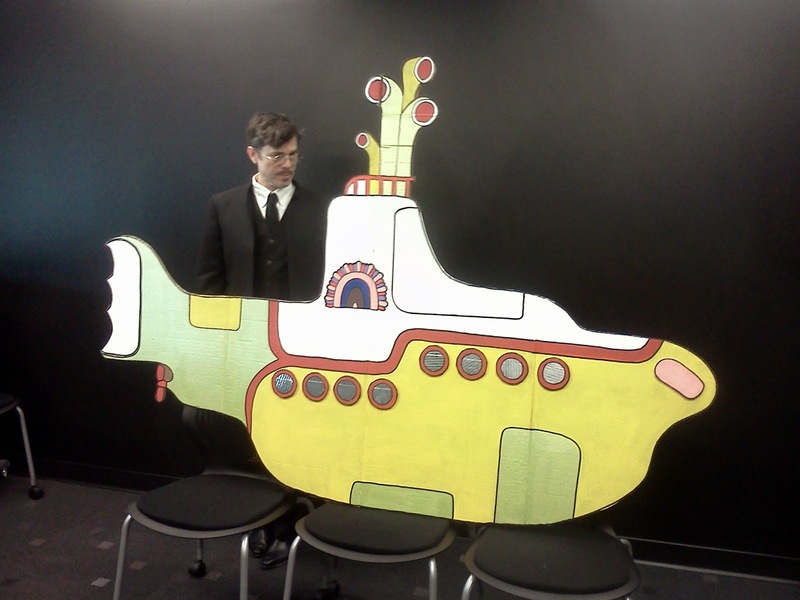 As it turned out, Nathan brought to the gig a large cardboard Yellow Submarine, which had been made for a musical he had just performed in, at H.G. Hill High School. 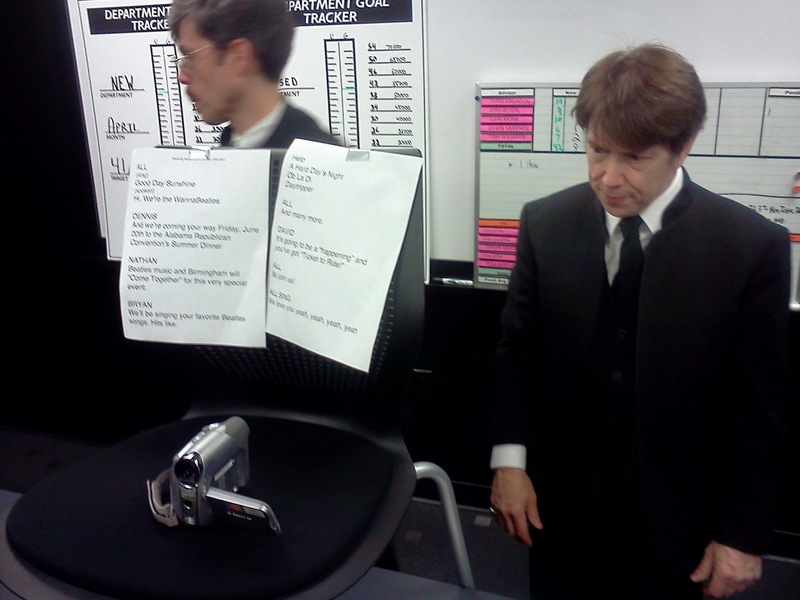 We balanced it on some chairs, and stood behind it while reading a script Dennis had written, recording into a video camera we rigged into position to capture our faces. Here's the camera, mounted in a chair, below large print versions of our script, (what? you expected us to memorize it?) as Dennis the WannaDirector ponders the shot. 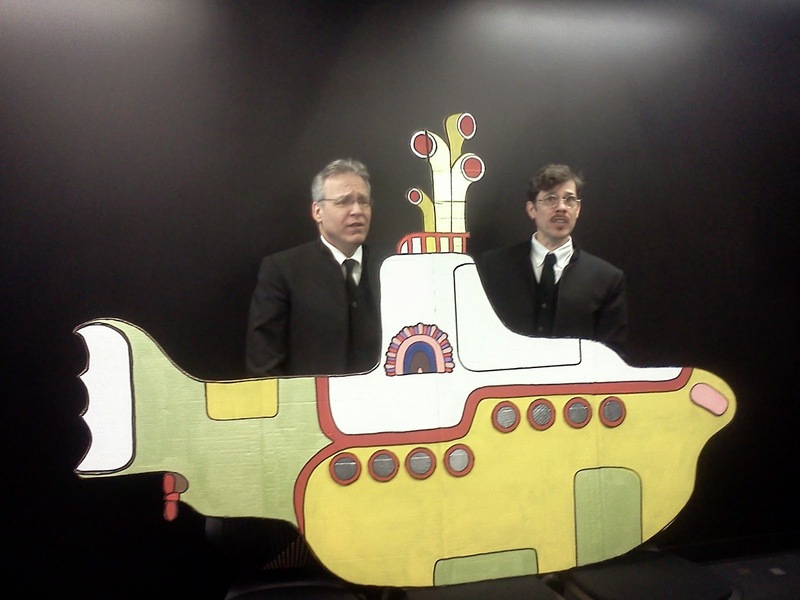 And here are David and Nathan, behind the Yellow Submarine, as we rehearse a final run-through. Thanks to a photo provided by Nathan, this is the Yellow Submarine, in its original setting, with Kevin Redmond, who created it, and Rhonda Carter, who encouraged him. Meanwhile, we went onstage and played Beatles songs and people enjoyed it. 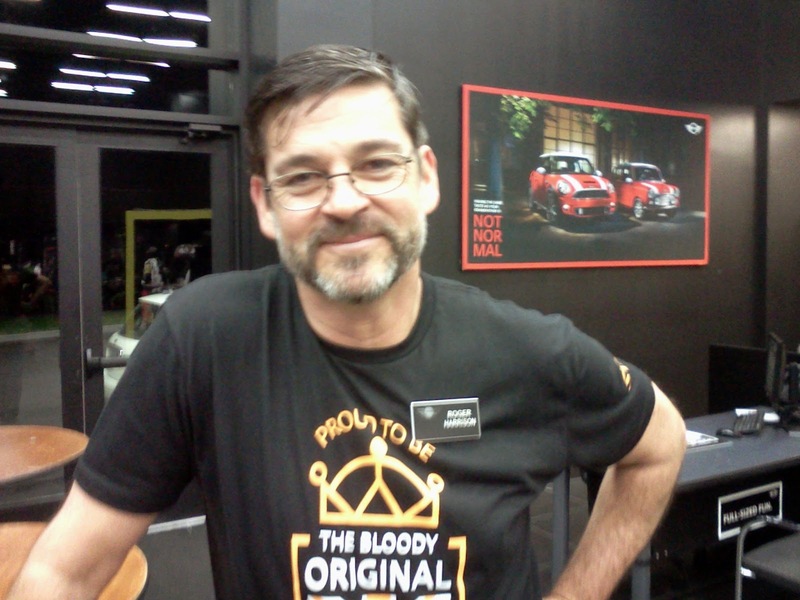 We met the manager of the MINI dealership, the energetic man who produced the entire event, Roger Harrison. He was very happy with the way the night turned out. When it was over, he told us "You have just improved my legendary status." It's always good to recognize, and to be, a "Bloody Original." 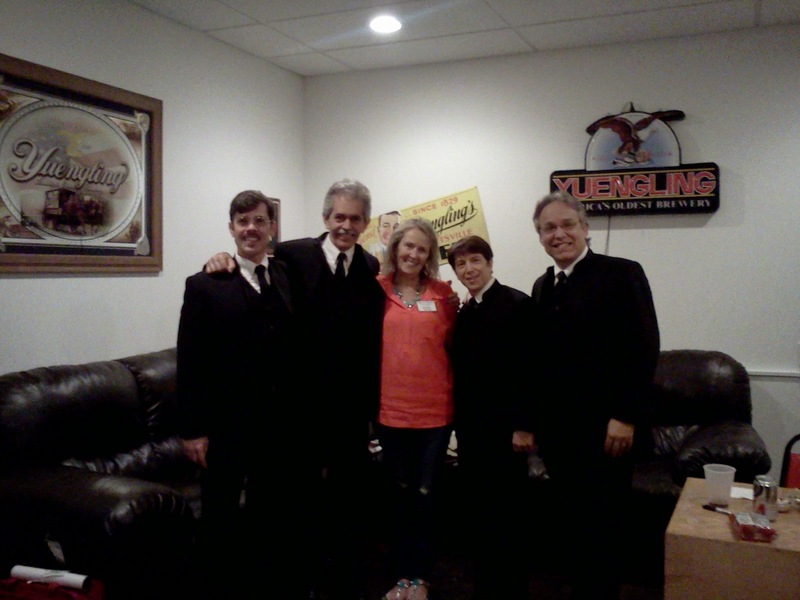 On Thursday April 3, The WannaBeatles played "Rock The House," a benefit for Hospital Hospitality House at Marathon Music Works. We'd never played at the venue, nor did we know about the organization, but we were in for a treat on both counts. 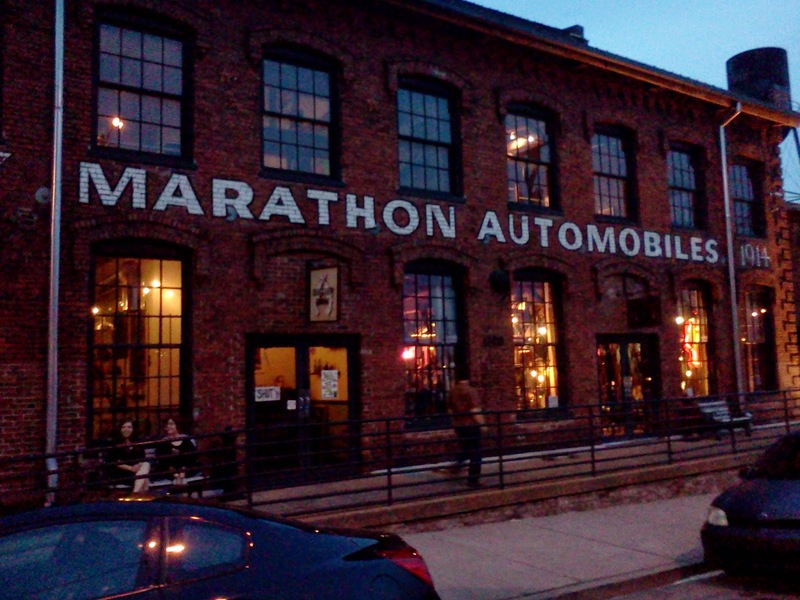 Marathon Music Works, open since 2011, is an event space with a large stage, great sound and lights, two bars, three dressing rooms and plenty of "industrial chic" vibe. The facility is part of a the Marathon Village neighborhood, which includes restaurants, offices, artists' studios, a fitness center, a candy company, a radio station, a distillery, and an inner city ministry. The buildings were originally built for Nashville's first and only car manufacturer. The Marathon motor car was produced here from 1914 to 1918. The company went out of business, and the buildings languished for decades until renovation starting in 1986. Hospital Hospitality House is another Nashville original, an organization dedicated to providing lodging for family members of hospital patients. It started in Nashville, in 1972, when the family members of a teenaged boy who was injured in a car accident noticed all the other people also at the hospital, spending the night in the waiting room. The boy was Rickey Beazley, and his mom, Mickey, envisioned a "place of sanctuary, rest and support" that would provide lodging and other basic living needs for families dealing with medical crises. The first guest stayed in a rented house on 17th Avenue South in 1974. Today their residential facility near Centennial Park serves 35 families each night. "Rock The House" is their annual fund-raiser, now in its fourth year. Many items for sale for the silent auction were arranged around the room. 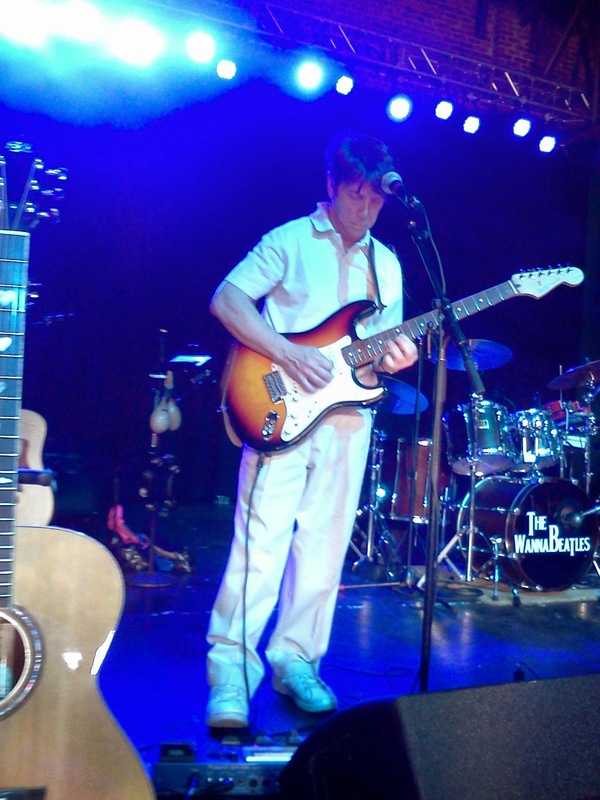 As we were setting up for sound check, we were introduced to Norman Urmy, a guitar maker who had created a beautiful acoustic guitar just for this particular night. He wanted me to play it onstage as a way to help people learn about it. It was a gorgeous instrument, and I was very happy to get my hands on it. I noticed the logo for Red Mountain on the headstock. I'd never heard of the company, but that's Norman. He's been building guitars for years, and the company, based in Franklin, has been officially producing guitars for the last seven years. Norman even put custom heart shaped inlays into the fingerboard, as part of celebrating the HHH event. We really enjoyed meeting Norman and learning about his guitars. We were also happy to play it! 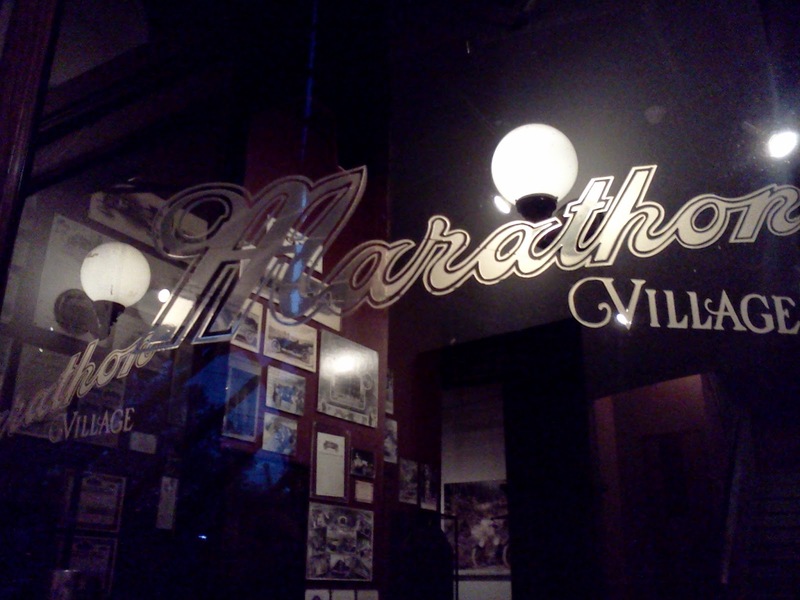 We had enough time to walk around Marathon Village before the show. Here's the building that also houses Bang Candy Company. Across the street is the office building, which also houses an antique Marathon car, along with lots of pictures documenting the history of the factory. We also met a couple of young ladies who live and work at The Foundry, which is a ministry located just down the street from Marathon Music Works. Then it was time to get back to the event. We had a nice dressing room, and they brought us meals prepared in their kitchen. The chef, Paul, had spent some time and imagination creating custom to fit a Beatles theme, such as Marshmallow Pie, which we enjoyed. 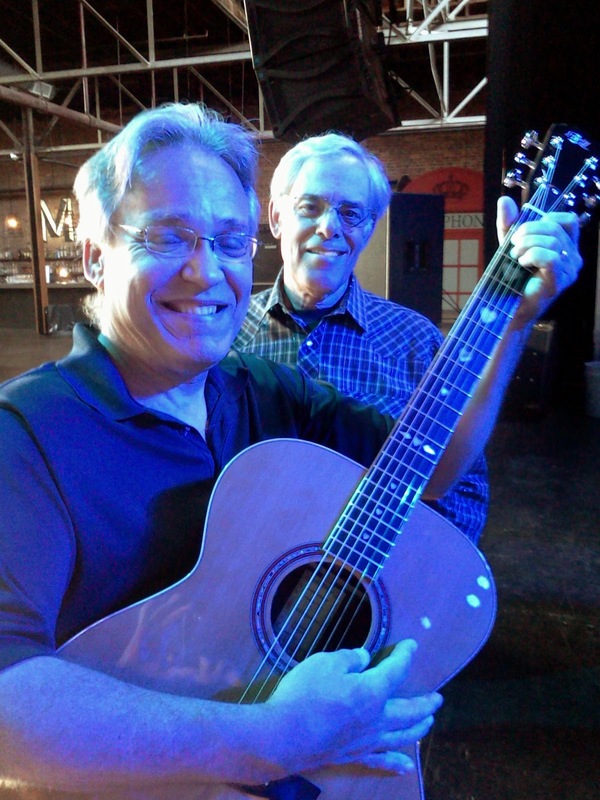 I had a chance to play Norman Urmy's beautiful guitar onstage before it was auctioned off, then we went onstage and gave the people a good time. We were treated very well by the great sound crew at Marathon (Casey and Michael), and the friendly staff from Hospital Hospitality House. 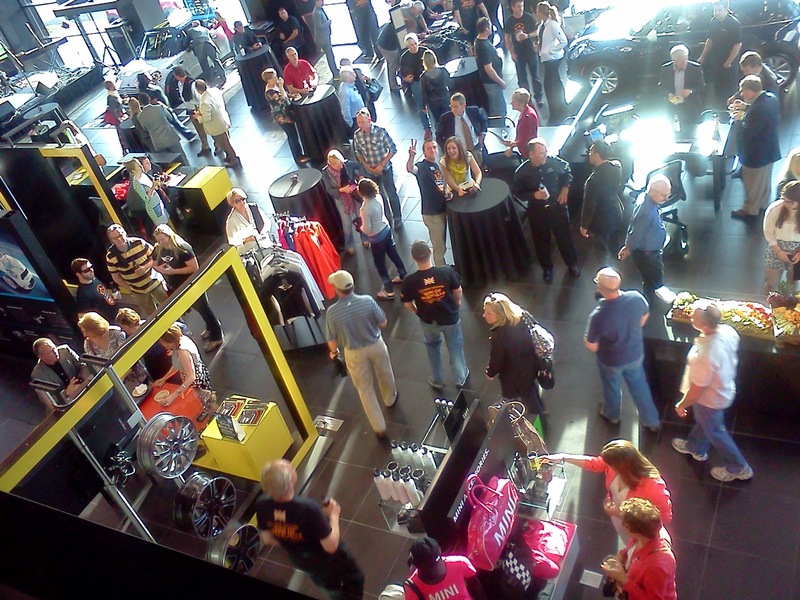 Their website says they raised $65,000 that night, so we're happy to be part of a successful event.